Chrysler knows of one crash but no injuries or fires. File - Major Chrysler Jeep Dodge Ram dealership on Northern Boulevard in Queens, New York, U.S., on Monday, Sept. 1, 2014. Nearly 907,000 Chrysler, Dodge and Jeep SUVs and cars are being recalled for alternators that can fail and heated power mirror wiring that can short and cause minor fires. The recalls, posted Thursday by U.S. safety regulators, push the total number of recalls so far this year to over 500, totaling more than 51 million vehicles. That's a full-year record on both counts, due mainly to massive General Motors recalls of more than 30 million vehicles. The largest of Thursday's recalls covers nearly 470,000 Jeep Grand Cherokees, Chrysler 300s, and Dodge Chargers, Challengers and Durangos from the 2011 through 2014 model years. The alternators can fail, causing the 3.6-liter V6 engines to stall unexpectedly. The problem also can cause the electrical system to fail, as well as knock out power-assisted steering, antilock brakes and electronic stability control. It can even cause fire or smoke, according to documents Chrysler filed with the U.S. National Highway Traffic Safety Administration. 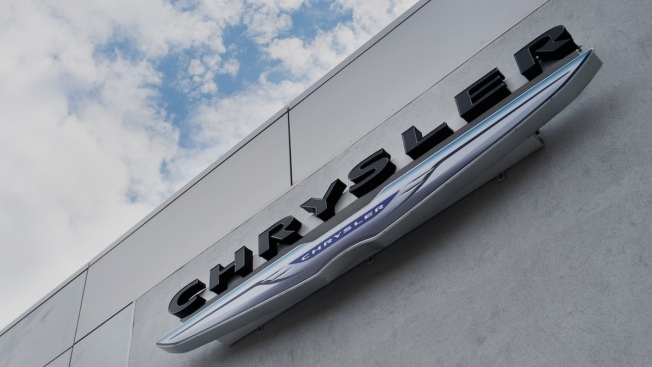 NHTSA opened an investigation into the problem in July, and Chrysler began its own probe in August. The company analyzed warranty complaints and alternators that had failed. The alternator generates electricity to recharge the battery and run other devices. Chrysler investigators traced the problem to heat fatigue in an alternator diode. Chrysler said it received 322 complaints about the problem, while 55 people complained to NHTSA. The company said it knows of one crash related to the problem, but no injuries or fires. The company will replace the alternators with upgraded versions for free. Owners will be notified in November. The company says customers who see warning lights or suspect a problem should contact their dealers. The recall affects cars and SUVs sold mainly in the U.S. and Canada, but some were sold in Mexico and overseas markets. The second recall covers almost 437,000 Jeep Wranglers from 2011 through 2013. Water can find its way into the heated power mirror wiring harness and cause corrosion. That can cause a short and could cause a minor fire and smoke, as well as cause loss of function of the mirror. The problem was discovered in February after three Wranglers in Canada were damaged. Chrysler says it has 26 complaints about the problem, but it knows of no fires, crashes or injuries. Dealers will move the wiring and install a protective shield to keep water out at no cost to owners, starting in December. Most of the Wranglers are in the U.S., Canada and Mexico, but more than 78,000 were sold overseas. The total number of recalled vehicles already has shattered the old full-year record of 30.8 million that was set in 2004.